A Kano State High Court presided over by Justice N S. Umar has restrained the National and state leadership of the People’s Democratic Party (PDP) from restructuring the Kano State chapter of the party. Justice Umar in an interim order, ordered both the applicants and the respondents to maintain the status quo ante, pending the hearing and determination of the motion on notice. 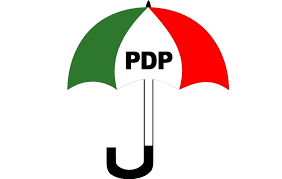 It would be recalled that one Alhaji Umar Mai Goro Rano and four others have dragged the national and state leaderships of the PDP before justice Umar challenging their plans to restructure the party’s executives. The court ordered the respondents and any other person or persons to restrain from interfering or tempering with the tenure of the existing leadership structure of PDP in Kano. Justice Umar, however, adjourned the case to November 5, 2018 for hearing of the notice on motion.